In a web root relative directory called "resources". (2.6.1.1). In any jar file on the class path in META-INF/resources (2.6.1.2). and parses into it's parts. The parser will include a validation step that can identify deviations from the specification that would cause the resource to be ignored at runtime per 2.6.1.3. An API will be defined that can be queried by resource identifier and returns available resource libraries in the search path for resource. The query mechanism will simulate the algorithm described in 2.6.1.4. The resource handler that converts resource identifiers into resources is pluggable. The framework will allow ToolDeveloper to replace the default resource handler with a custom one to match what is registered in an application. 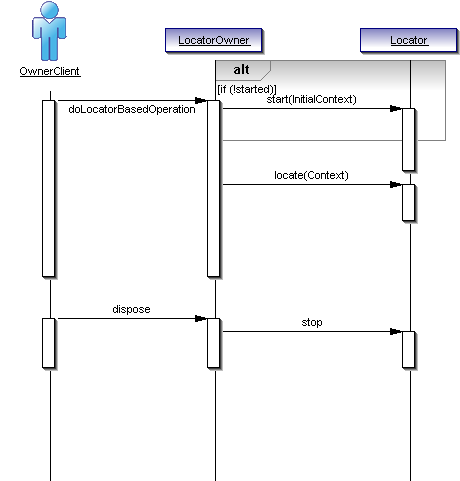 A locator that scans java source files in a project for @ManagedBean annotations and which collects these artifacts. A locator that scans the view files in a project and searches for implicit navigations on action source attributes. Because of the performance intensity of these locators, the application configuration manager will not be configured to use these by default. 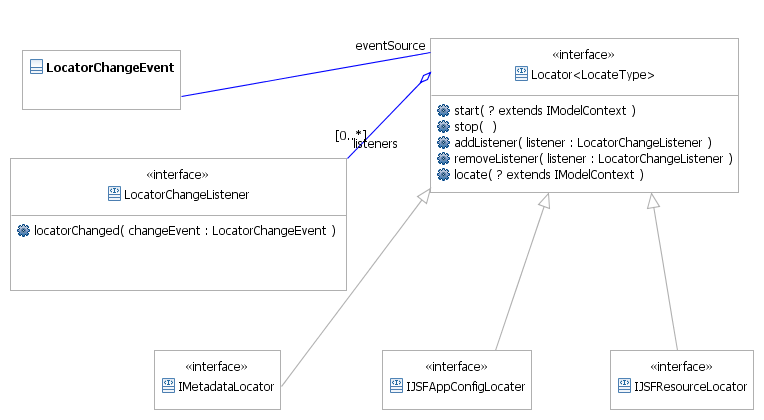 The application configuration model will updated to handle all of the new app config file artifacts (XML elements) added in JSF 2.0. The locator that discovered the node. An IPath to the file that defines the node. A marker or offset into the defining location where the node is declared. A new tag registry will be added to support Facelet VDL tags. This includes locating tag libraries in both the web.xml configured locations and in composite components. Additionally, implicitly defined libraries must also be located in the jsf runtime. A new implementation of Locator will be defined for the purpose of finding these libraries. A new content type will defined for the XHTML files containing default Facelet view definitions. A content describer will be implemented to discover of a file containing XHTML content is in fact a Facelet file. The algorithm may consider the current Facet installed on the owning project and/or defining user data in the project such as the presence of a WEB-INF/faces-config.xml or certain jars on the classpath.